While many of the women attending the 2018 Golden Globes on Sunday will be wearing black in solidarity with women facing workplace sexual harassment, the newly formed Time’s Up initiative — launched by 300 prominent women in Hollywood — will also be releasing a pin for attendees to sport on the red carpet. According to The Hollywood Reporter, fashion designer Arianne Phillips and jewelry designer Michael Schmidt created the accessory after being contacted by Reese Witherspoon, one of the major backers behind the Time’s Up initiative. Phillips told THR that Witherspoon approached her with the idea in December, asking her to attend a meeting with the women — representing all factions of the entertainment industry, from actresses and directors to producers and agents — working to form the initiative. She revealed that during the meeting, the women were divided up by occupation for a discussion, with Phillips attending the actress group at Witherspoon’s request. It was there she was presented with the opportunity to design the important red carpet accessory. The Time’s Up pin will not only promote the initiative and provide a secondary focal point for the women wearing black, but it also allows male allies in the movement to get involved — because let’s face it, men also wearing black won’t exactly capture the same attention since black is already the most popular color for men attending awards shows. A special red carpet accessory has become a go-to for A-listers looking to express solidarity or promote an important cause. 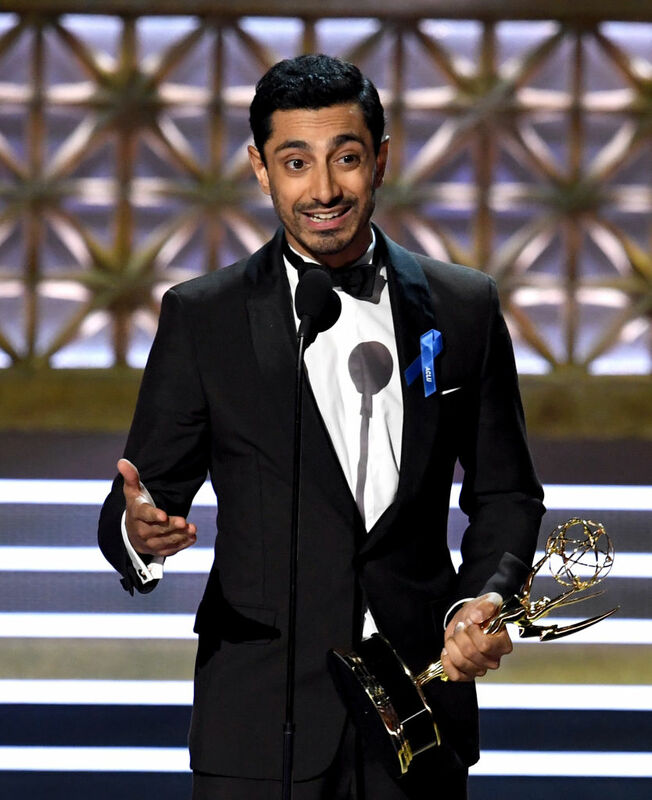 In September, many celebs walking the red carpet at the 2017 Emmys were sporting ACLU ribbons to support the American Civil Liberties Union. In June during the 2017 Tony Awards, celebs wore pins in solidarity with Planned Parenthood. In working with Hollywood’s top leading ladies on this critical issue, Phillips realized that the fashion industry could be taking on a bigger role in the Time’s Up initiative, citing red carpet events like the Golden Globes as critical to the fashion industry’s success. To lead the way for the fashion industry’s involvement in the movement, the designer is also organizing a Golden Globes viewing party on behalf of Time’s Up with a number of designers eager to get involved. We’re amazed at how brilliantly and quickly so many women in Hollywood were able to pull together a stunning initiative: one that not only looks to bring an end to workplace harassment and sexual misconduct in Hollywood, but in industries all over the world.